Draft From Your Mobile Phone! 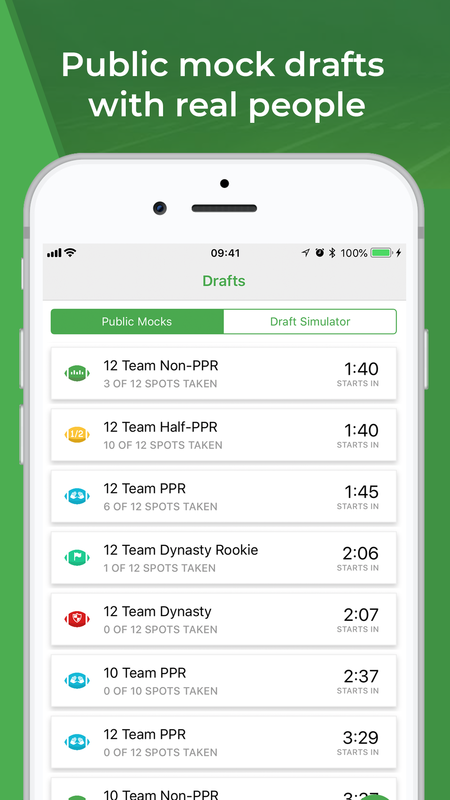 Practice drafting with our brand new mobile apps for Apple iOS and Google Android. Draft against real people in the draft lobby, or run a simulation by yourself. View ADP data, rankings, articles, cheat sheets and more!